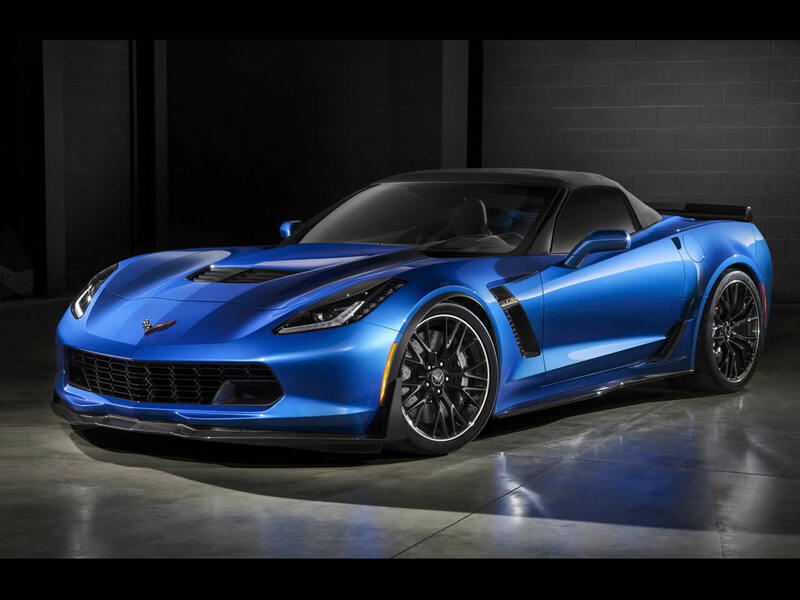 The Z06 is the Corvette turned up to eleven. The supercharged V8 with dry sump oil system takes it into supercar territory. Carbon ceramic brakes keep things under control along with an aerodynamics package intended to keep the car glued to the road. 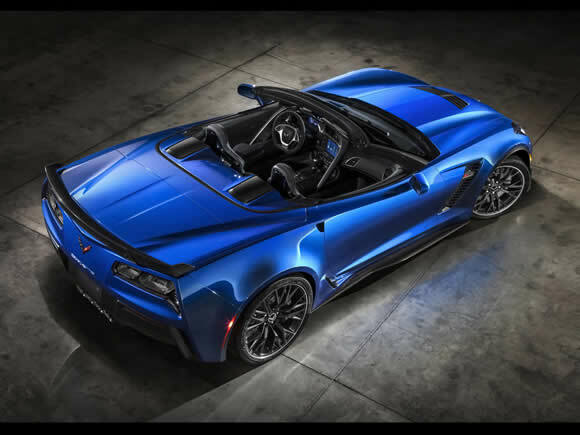 The Corvette Z06 Convertible’s best toy (apart from the engine) is the Performance Data Recorder. 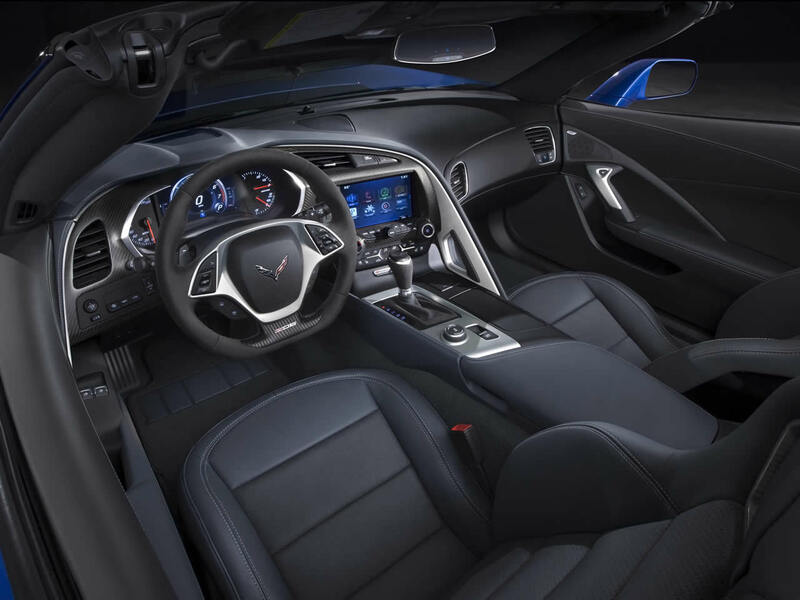 This is basically a windshield mounted video camera that records your drive and overlays performance data including speed, rpm and g-force onto the dashboard HD screen. Videos can be stored on a memory card so you can show your friends your driving antics at a later date. 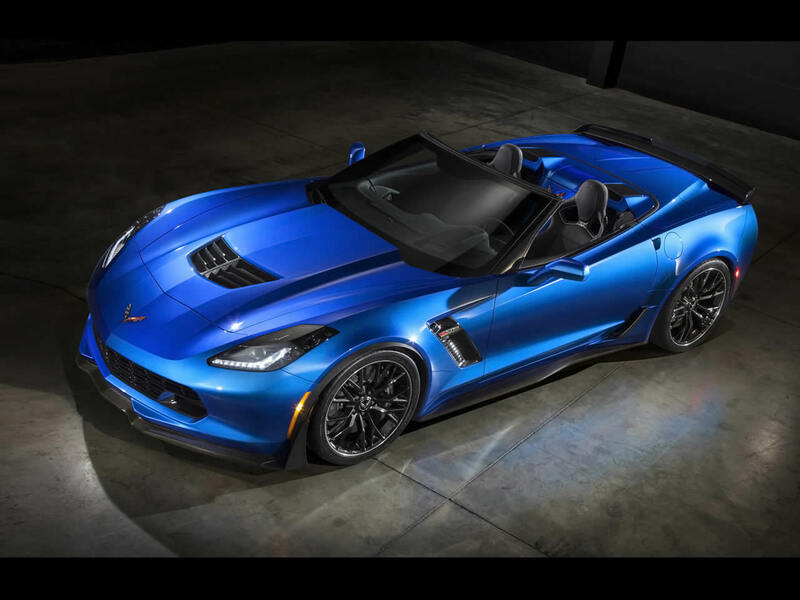 Sooner or later this is bound to get someone in trouble as it is all too easy to reach illegal speeds in this top of the range Corvette Convertible. The three-layer soft top can be lowered at speeds up to 30mph so there is no reason to get caught out at the traffic lights. It is well insulated to keep unwanted road noise out of the cabin. 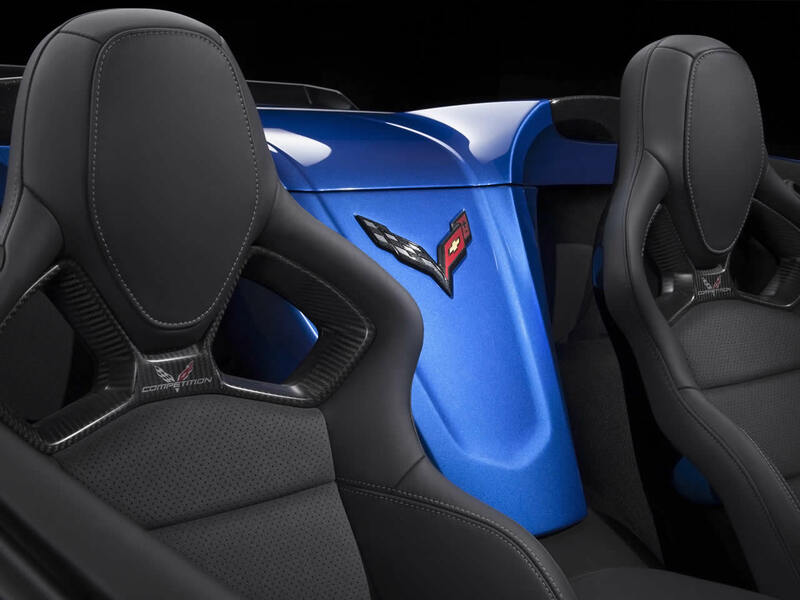 The tonneau cover design flows down between the seats in the traditional Corvette style. Do you drive a Chevrolet Corvette Z06 Convertible? Would you recommend it to others? Start the conversation and let us know what you think of the car.